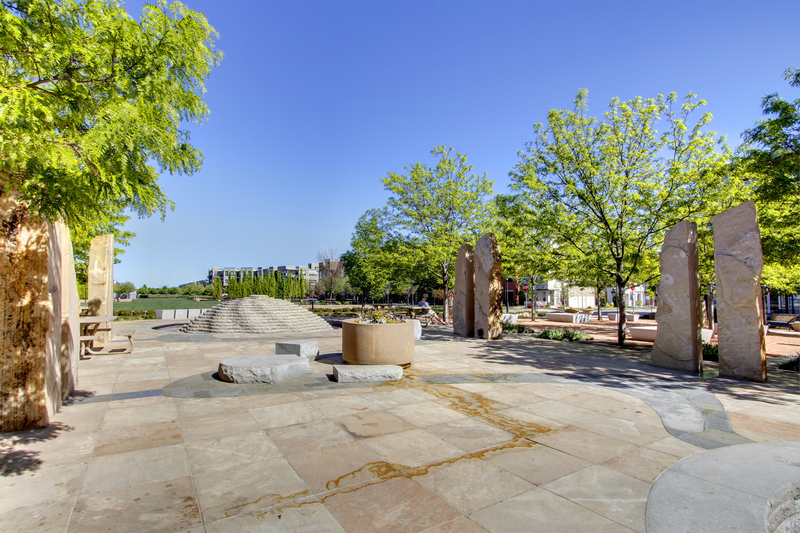 No matter where you are in Stapleton, you’re never more than five minutes from beautiful, green open space. The communities 80-acre Central Park is the third largest public park in Denver and includes lakes, bluffs, trees, and walking paths. Stapleton is also full of pocket parks which connect your neighbors by shared spaces. There are 25 miles of jogging and cycling paths which connect to Denver’s 850 miles of bike trails. Stapleton is home to six Denver schools that are among the finest in the country. There are also four neighborhood public swimming pools, each with a unique and spectacular water feature. The wide variety of new homes at Stapleton is truly special, ranging from stylish townhomes to magnificent custom dream homes. It’s simply a great place to live, work and play. If you desire to know more about the Stapleton neighborhood, please feel free to contact me. If you have any neighborhood or real estate questions, I am always available at erin@ruleproperties.com or 303-324-1703. Stay tuned for next week’s neighborhood feature. Washington Park neighborhood is one of Denver’s oldest neighborhoods, and continues to be one of its most popular. Developed in the late 1800’s, the area around the large park grew to be one of Denver’s most attractive areas because of the location and the fun outdoor activities that are available. Now, filled with classic Bungalows and Victorian-Era homes, Washington Park remains highly desirable due to its central Denver location and surrounding shopping, dining and entertainment options. The Cherry Creek North district is close by, as well as Bonnie Brae and Belcaro. South Gaylord Street sits in the neighborhood with tons of fantastic local restaurants and shops for everyone to enjoy, and of course the ever popular “Wash Park” provides year round recreation options. 1. How did you choose your neighborhood? Brian had lived in the neighborhood for a long time so once we got married we decided we loved it so much we wanted to stay. 2. What is your favorite feature of your location? The park is probably the major draw, of course. We like to take our morning walks with our dog. We also love being in walking distance of the Gaylord strip which has several food choices and several fun boutiques. We also appreciate all the different architecture and a mix of the new and old houses. 3. How long have you lived in the area? We have lived in our current house for 5 years and the house before that for 5 plus years. 4. Where is your favorite local spot? We love the local pub Reviver’s and Max’s grill. Brian also loves Devils food because breakfast is his favorite. Oh and the newest restaurant is Homegrown Pizza and it is excellent! 5. Use one word to describe your neighborhood. Energetic! 6. Is there anything else you wish to share about your neighborhood? It is a wonderful place to live at any stage of your life. The park brings a lot of activity and fun! If you desire to know more about the Wash Park area, please visit my website and click the “Communities” tab. If you have any neighborhood or real estate questions, I am always available at erin@ruleproperties.com or 303-324-1703. Stay tuned for next week’s neighborhood feature. If you desire to know more about the Heritage Greens neighborhood, please feel free to contact me. If you have any neighborhood or real estate questions, I am always available at erin@ruleproperties.com or at 303-324-1703. Stay tuned for next week’s neighborhood feature.